Many times we fear what others think of us because we feel that the opinions of others define us as human beings. So we attempt to manipulate others so that they will view us as a good, intelligent or competent person. Many of us form multiple personalities according to the individuals who we interact with. We use observation, intuition and intelligence to gauge people in order to better understand how we can get them to like us. Many of us have become a Chameleon in some sense. Blending in with our environment in order to learn the most effective way to manipulate this reality to our desire. We’ll act differently towards people dependent upon who we’re interacting with. We may appear to be loving, kind and considerate to one person, but then the exact opposite to another. We do this because many of us want the approval of others. We define our sense of worth and value based upon the thoughts and opinions of others. The Truth is though that you don’t need the approval of anyone; except for yourself. You are the one who has to live with yourself; therefore you’re opinion of yourself is the one that matters. The opinions of others is totally irrelevant when it comes to your sense of worth. Your value is determined by you alone, not by others. We don’t need to worry what others think; we can be free to just simply be ourselves. When we give into the idea that the opinions of others determine our sense of value or worth; we give our power away. It becomes dependent upon an external thing, idea or person. When in reality your worth is found within. You yourself can choose to be happy regardless of outside circumstances. The inner world is where you find true value. So my beloveds, remember this when you feel sad or depressed because someone doesn’t like you. Though it may be painful; know this, that your value is not determined by their thoughts or ideas. You have value regardless of all the thoughts and opinions others hold about you. Free yourself from the shackles of disempowerment, realize that you have all that you need within you. Be that worthiness and know that you can choose to be worthy right now. Be yourself; that’s all you need to concern yourself with. When we focus on being our true authentic self we bring true happiness into realization. This sense of happiness doesn’t derive from others; it comes from within. It’s always been within us all along. Never was there a moment when this sense of worth ever left us. We only temporally allowed ourselves to forget our true value so that we could experience life in duality. Even that though must come to an end; because that which has an beginning has and end. Posted in Acceptance, Happiness, Harmony, The Event. We may not be fully aware of what we are creating moment to moment, but fortunately the universe provides us with many signs to let us know when we are on the right path, and (more importantly) when we are on the wrong path. This article will focus on the warning signs from the universe. These signs are an indication that your energy is headed towards (or currently stuck in) a low vibrational frequency. Your thoughts, feelings and actions are focused negatively, and this is creating unwanted circumstances. Conversely, when your thoughts, feelings and actions are moving at a high vibrational frequency, life will line up perfectly. You will have excellent timing and good luck all day long. 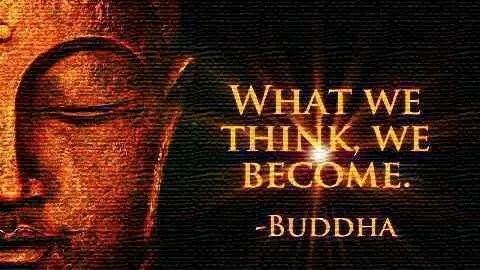 This is why it’s so important to raise your vibration by consciously choosing positive thoughts. This is because our souls are stuck here on Earth in a physical dimension that is much denser and slower than the higher, ethereal dimensions. The simple makeup of our planet and bodies is composed of much lower vibrational energy than that of our souls. As a result, we will likely bump up against unwanted circumstances from time to time, but that’s ok.
As long as we heed these warning signs (without allowing our egos to fixate on them!) we can get back on track quickly. Each of these signs is an indication that you need to center yourself and adjust your frequency. When you encounter one of these warning signs, please stop! Do not keep working on that task, or having that conversation, or obsessing over that thought that you were just having because it is not taking you where you want to be. Instead, take a deep breath, step away from the situation, or even take a minute to meditate if you are able to. If you catch these warning signs quickly and respond immediately, the simple act of centering yourself will stop the negative momentum. As a final note, please try not to obsess over a warning sign. Talking about it, thinking about it and replaying it your mind is a surefire way to lower your vibrational frequency. Take it for what it is, a simple “stop sign,” and move on from it. Please take care of your vibration; only give attention to the thoughts, feelings and actions that resonate with your soul’s natural frequency. Being yourself is the key to transforming this world into the paradise it already is. Many of us nowadays overlook the fact that the external world is a reflection of our internal world. 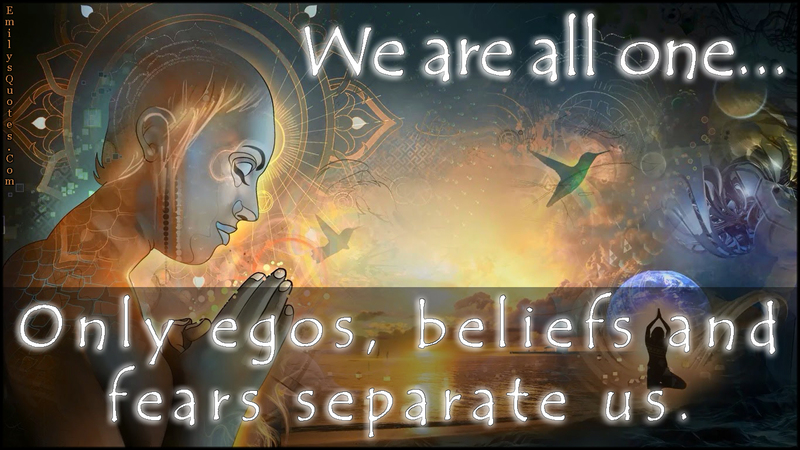 Our thoughts, beliefs and emotions maintain the external world. It is our consciousness and the state of being that creates this world and all the circumstances we find in it. The key to creating a more loving and abundant world is to be this abundance. All that is needed is for one to see the abundance. We’ve been focusing so much on the negative that our world has become very polluted, destructive and violent. It is our focus, our attention to the negative things that maintain this paradigm. When we shift from focusing on the negative to the positive an internal shift occurs. We start to notice that we’re generally feeling better about ourselves and people around us. You start to display and express a sort of optimism that gains notice from others. This is the beginning of transforming your world. Your perspectives, opinions, and beliefs will drastically change. Everything about you will be imbued with this sense of love and positivity. After a certain threshold has been reached in regards to transforming your inner-world into a positive landscape you will begin to notice things coming into your life from the external world. You’ll suddenly find yourself attracting all the things you need to achieve your dream. Everything that you’ve always wanted to do will be easier to accomplish. This is because of the fact that your inner world has shifted so much from a negative perspective that it literally is attracting these things into your life. Negativity is the separation, thus when you’re operating from a negative state of being you will repel all the circumstances, people and things you desire in life. Your unconsciously dis-attracting these things from you because of the fact you’re operating from a negative state of being. When you operate from a positive state of mind, you attract all the things you need in life to be yourself and to accomplish your aspirations and dreams. This isn’t meant to seem like a punishment or something to be shameful of. This is called The Law of Attraction. The illusion of lack in the external world is meant to convey the message that you have some kind of belief, idea or emotion that is preventing the natural you from coming to the service. There is something creating a blockage that prevents your True Self from taking the helm of your life. It becomes paramount than to do your own Shadow Work, look for the fearful beliefs and ideas that keep your separate from your True Self. Your True Self or as some have called the Higher Self is attempting to establish a line of communication with you, but since we as a species have decided to experiment within the land of separation it cannot directly intervene without infringing upon your free-will; which would make matters worse. So it helps guide you with circumstances, events and synchronicity in an attempt to try to direct your attention to your own inner world. It’s trying to tell you that separation is something that we ourselves created in order to experience it, but that at the end of the day it is nothing more than an illusion. You can equate this as an act of fishing on the Higher Self’s part. Just like in real fishing, you put the bait on the hook, throw the line into the water and hope to catch a fish. That’s what the Higher Self is attempting to do, it cannot force anything upon you, but it can try to communicate with you in ways that don’t infringe your free will. A direct line of communication with your higher self is the key to being yourself. You are a magnificently multidimensional light being with incredible power and abilities. The fact we find ourselves in such a limited state is a testament to this. When you start accessing your Higher Self, it starts to take the helm of your life. You start to become the real you, the person who walks in accord to your own calling and purpose. By following your heart and being yourself you attract all that you need in your life. Happiness flows in abundance and love spreads wherever you place your focus and attention upon. You will assist this world and others by being an example worthy of imitation. You won’t have to preach or force people to behave in like manner. The essence of your being will naturally attract others towards you, they will want to be around you because of the energy, love and compassion you share with them. Just as in the time of Jesus, he himself attracted large crowds and even to this day is remembered because of the love, compassion, joy and happiness he shared with humanity by being his true self. That is all that is needed at the end of the day, just to be yourself. You don’t need to accomplish any type of external goal and mission to achieve this. All that is needed is to be yourself. So my beloved friends and family, I want to impart to you the beauty and magic of being yourself. However you choose to do this depends on you. The subjective nature as to what interests you and makes your heart sing is meant to be the allurement to seek who thou really are. Only you can do what is meant for you to do, no one else can do it, never ever can you be replaced whatsoever. You are priceless and NOT replaceable, nothing can ever deny this Truth, except for yourself. Only YOU have the capacity to deny this Truth to yourself, no one outside of you can. So remember the power that you house within yourself. Remember that you choose to be here for a reason. Nothing happens in life by accident; you don’t exist because of set of randomized circumstances that resulted from chance. All is orchestrated and connected, nothing truly is separate. We are all One at the end of the Day. Till next time my beloveds, have a wonderful day. Never give up on yourself. It is actually the time to keep your dreams alive, because you are the one who has to take care of yourself and remember that when you love yourself with the unconditional love, you would only want to do things that helps you grow and do what resonates with your soul. if you are someone who would like to stand on his or her own two feet this is, remember challenges are there only to help you get stronger so then you have the strength to carry on and you would only know how strong you are when a challenge rises so do not believe that when something does not go your way it is working against you because you do also have the answer to the problem just always remember to make cautious choices because our choices make a lasting impact in this lifetime. To be precise, the reason that you are born as a human and not existing in this world as some seashell on the shore absolutely means that you are here to more than just exist; you are here because you have a purpose. Most of us state how important it is to give good vibes to people around you; well wouldn’t you want to give this world good energy? So you may not know what you want to do and well time will tell if you really seek an answer follow the little things that trigger a burning passion within you and soon you will connect dots and know the answer. The world needs love, and we are love, we are capable of being peaceful with one another and one way for this is to support one another in their goals and helping find one’s passion even finding your own passion can simply contribute to making the world a better place because you are doing something with love which will raise your vibration that will impact people around you and the world. Always look out for yourself because you are important, you are special and you are existing in this moment, reading this article and it is not a coincidence that you are reading this article.You are reading it because you need to be reminded that HEY! 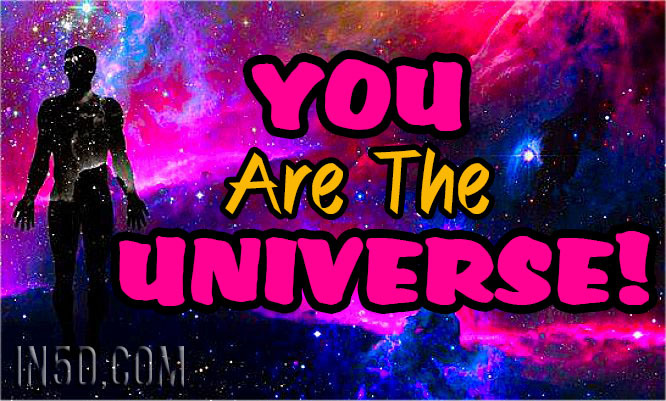 You are the Universe, you are loved and you have the potential to be in service to the world and contribute to peace. You can always have the room to be a better person. You have the sole power to make decisions. The decisions that could either empower you or hinder yourself. It is obvious that none of you would want the latter. Empowering yourself can bring you benefits beyond your thoughts. It is giving you the power to become who you want to be. It is giving you the power to not bother about what people say but go on with your life with this amazing thing called optimism. It is giving you the confidence and most importantly the belief of believing in yourself. When you believe in yourself you seriously do not need anyone to believe in you. When you do believe in yourself, you start mold your mentality with positivity. Despite the circumstances, despite the goodness, despite how blessed or cursed you are, if you have a mindset of an optimistic, if you step by step push yourself to say whatever has happened or whatever you are going through will not define you but you will overcome it and get to the finish line, then that is you being the universe. The universe withstands and has withstood what many storms or sunshine or hay or light or wars it has to exist through. You have the power within you to have a say in your life, and you definitely have the choice to do more than just exist and just like the universe you can withstand any hardships because do know that at the end, whichever obstacle is there in front of you, it is giving you the chance to make yourself stronger, be wiser and be more passionate about the things YOU want to do and let it be something that also brings good vibes to people around you. It is only when you truly suffer you would know how important it is to look after yourself. A lot of people have the tendency to envy what someone has got or who someone is. This is not healthy for your soul. You have to remember that you are not that person. You have your own person. You have to remember to indulge in things that give youinner peace. This is not an unattainable thing. It is all about having the control of your own life and your own mind. Let it be lethargy, love, guilt, happiness, it is all a phase that you can always have the power to swerve away from but do remember lessons will be repeated until you learn what you are supposed. Do not think that you always be stuck in a rabbit hole, instead find a way to come up, your mind holds the key because your mind is just like the universe, meditate and you will understand that you have infinite potential to break away from anything that hinders you and find what works for you and find your higher self. About the author: Layaal Khaleel is an undergrad studying International Relations in Colombo Sri Lanka.